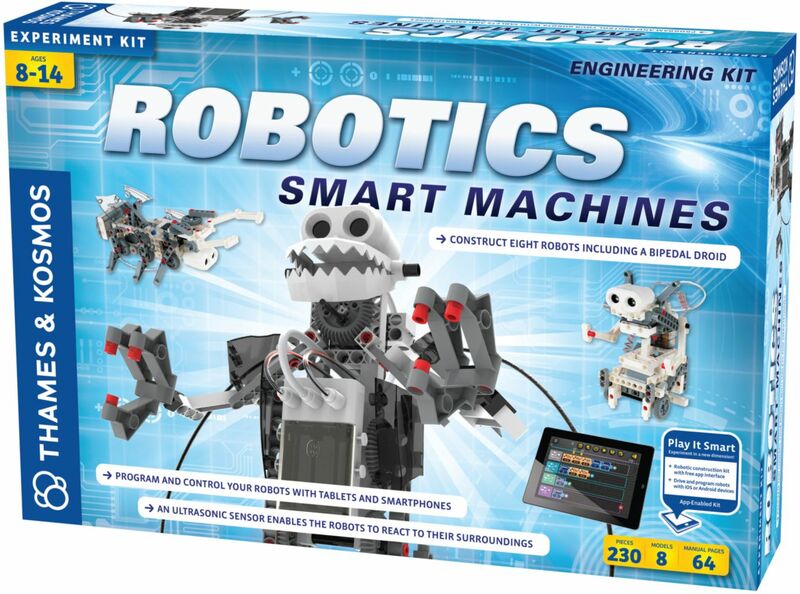 This kit gives kids a simple, fun, and customizable introduction to robotics that shows them how to build eight motorized machines controlled by programs and an ultrasound sensor. 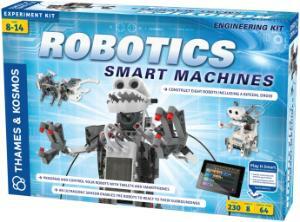 Kids code the programs using an easy, visual programming app on a tablet or smartphone, which connects to the robot models via a wireless Bluetooth connection. With the app interface, users can program the robots to behave based on the feedback coming from an ultrasound sensor. 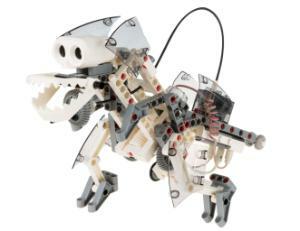 Students can build a humanoid robot that walks forward on two legs and pivots to avoid obstacles. A stag beetle model moves backwards or forwards in response to an obstacle and opens and closes its pincers. A crocodile model wags its tail if no object is in sight but opens its giant jaws when an object approaches. A dual-rotor drone model rotates its rotor blades 90°. Other fun robots include a robo-dog and robo-dino. 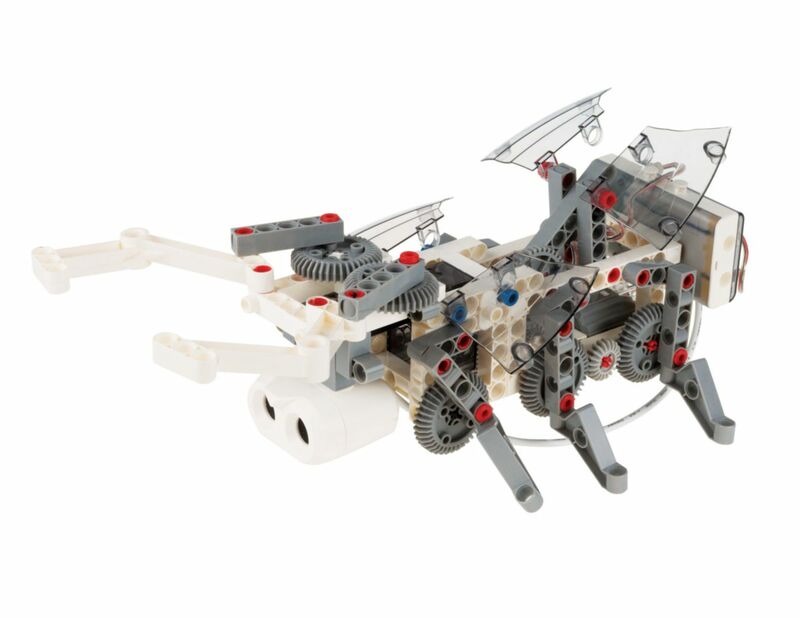 Once students understand how the technology works, they can build and program their own robots with the kit's 230 building pieces. 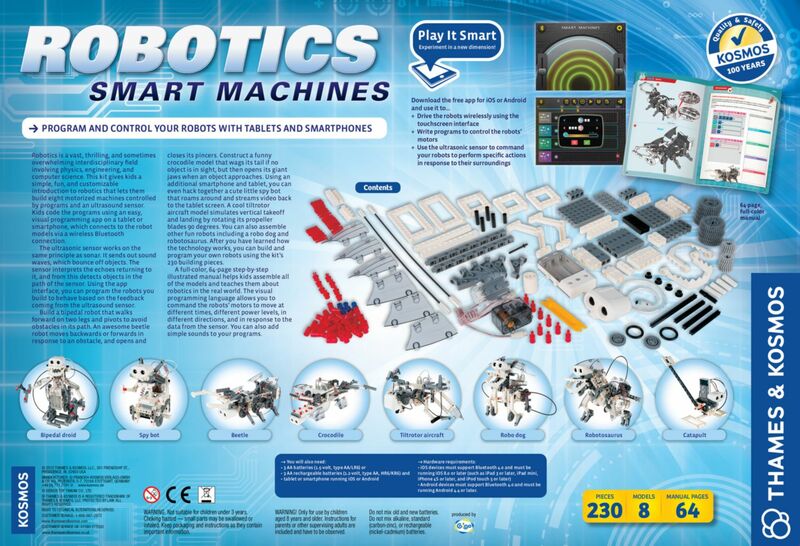 A full-color, 64-page step-by-step illustrated manual helps kids assemble the models and teaches them about robotics in the real world. The visual programming language allows you to command the robots’ motors to move at different times, different power levels, in different directions, and in response to the data from the sensor. 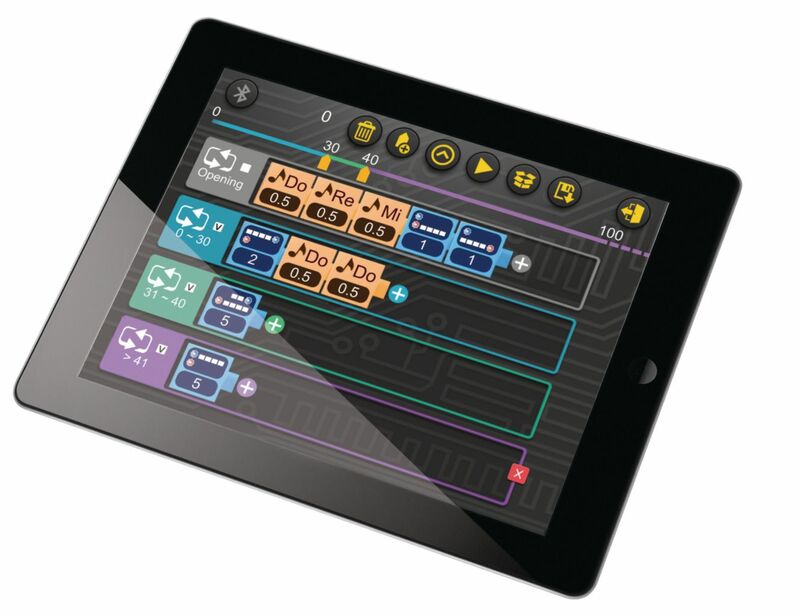 The kit requires a tablet or smartphone running iOS (iPhone 4S or later, iPad 3 or later, iPod 5 or later) or Android (Android 4.3 or later on a device with Bluetooth 4.0 support).